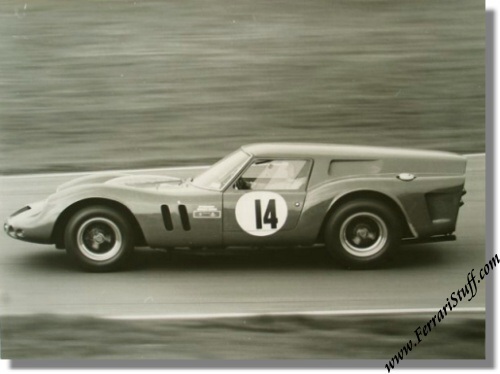 Huge Vintage 1977 photo of Ferrari 250 SWB Breadvan S/N 2819GT at Brands Hatch. This is a vintage 1977 photo of John Harper driving the "SEFAC Hotrod" during the AMOC Houbigant Meeting at Brands Hatch. The car, which bears race number 14 here, still exists of course. The photo measures a STAGGERING 50 x 40 cm or 20 x 16 inches.